Do you ever find there is no such comfortable position when you try to sleep on plane or car? 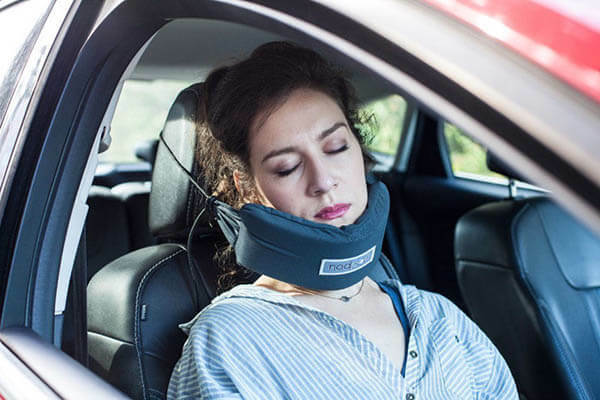 All the neck support, pillow, wedge just seem not work at certain point and our neck is always get hurt after the nap. 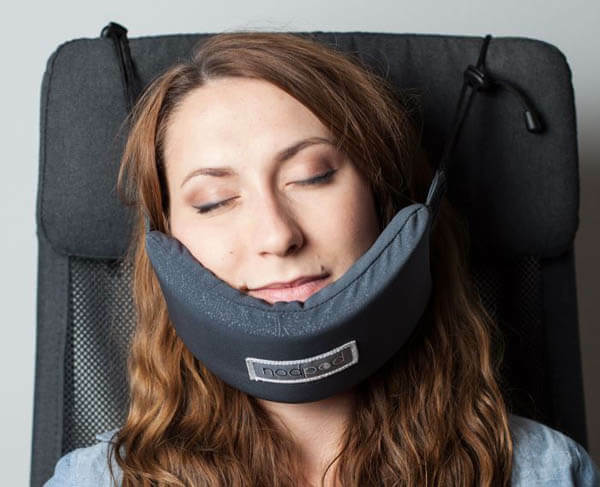 People are trying really hard to improve that and now, we have another interesting solution – NodPod which claims it can recreates how you sleep on a bed but in an upright position. The reason it’s hard to rest or sleep while traveling is because you can’t keep your head, neck and back perpendicular and at a 90-degree angle similar to how you sleep in bed at night. NodPod has a special patented “Over the Top” design which keeps your head from falling forward as well as left or right. It is made of comfortable memory form, which ensures a very soft and relaxing sleep experience. It looks like it is time to say goodbye to those sleepless trip or awkward/painful waking up. You can get it for $25 from kickstarter and it has already raised $205,170 pledged of $20,000 goal. Seems people are really eager to find a better way to sleep during the trip (just like me).